When you’re shopping for a seven-seater, the default choices are usually SUVs and people-carriers, but all-too-often the humble van-derived car is overlooked. 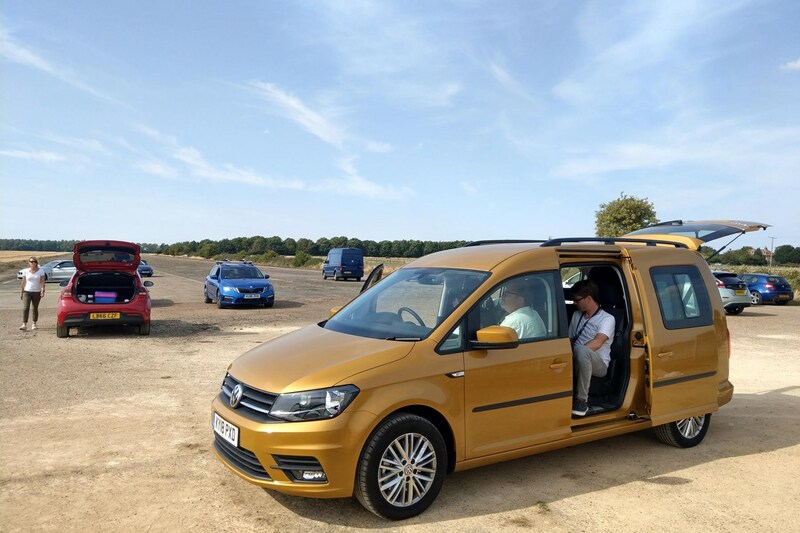 Over the next few months we’re going to attempt to redress the balance somewhat by living with one of the best – the VW Caddy Maxi Life – to discover the true meaning of the word practicality. As the name suggests, this Caddy is meant to be a lifestyle vehicle. 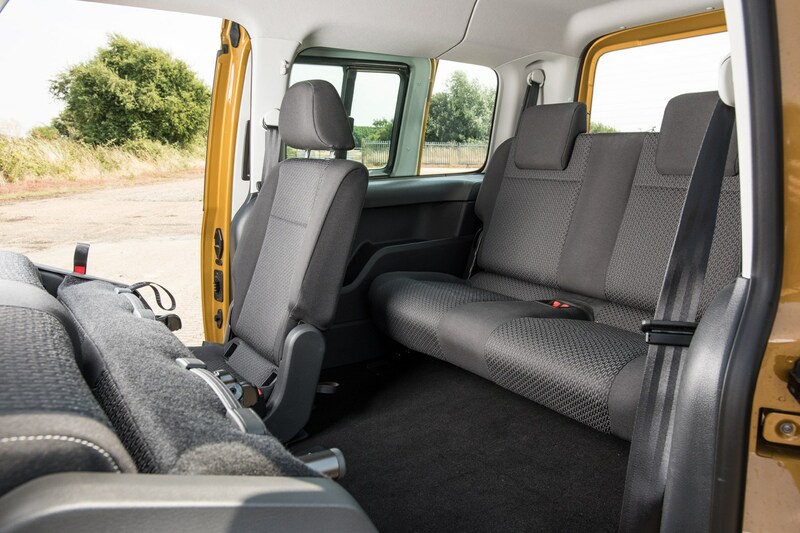 It’s one seriously useful bit of kit, with sliding doors and removable seats that offer everything from seating for seven fully grown adults to a van with a flat floor to cart much larger objects around. It’s a Maxi, which makes it the longest, largest car in the Life line-up. And it’s actually not bad to drive, either. 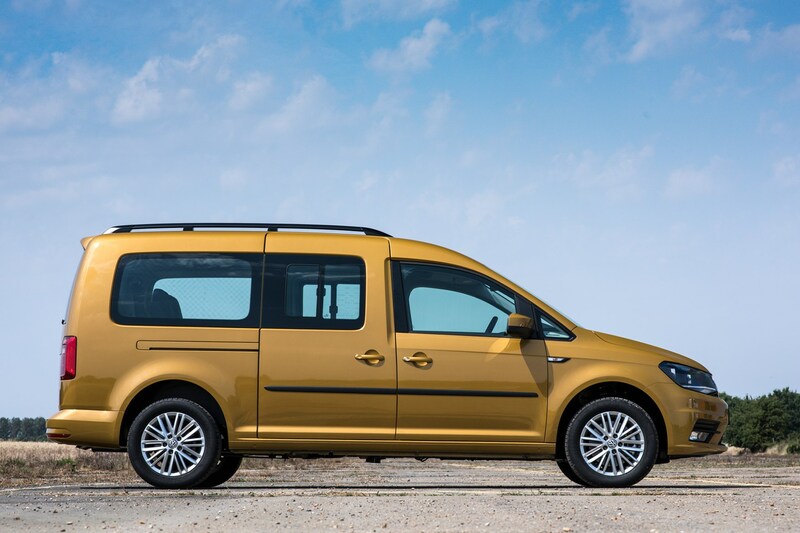 The Golf-based Caddy is known as one of the better vans around in this respect, and most of the controls are just like you’d find in any of VW’s cars. It’s got a six-speed DSG gearbox installed, which makes life loads easier in traffic, and the engine is a 2.0-litre, 150hp diesel – the most powerful in the range. 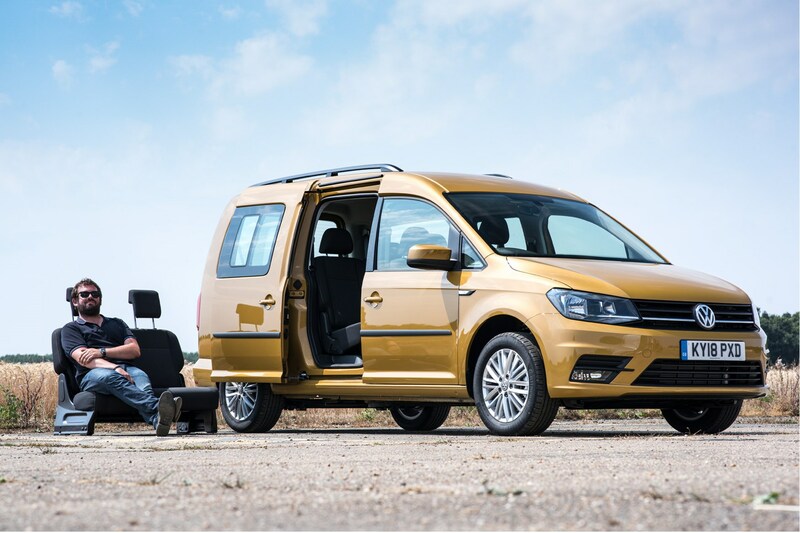 How much does your Volkswagen Caddy Maxi Life cost? The final option is that distinctive Sandstorm Yellow paintwork, which costs £504 and is probably the most divisive feature of the vehicle. I don’t personally mind it, though – especially in the sunshine we’ve enjoyed so much of in 2018. 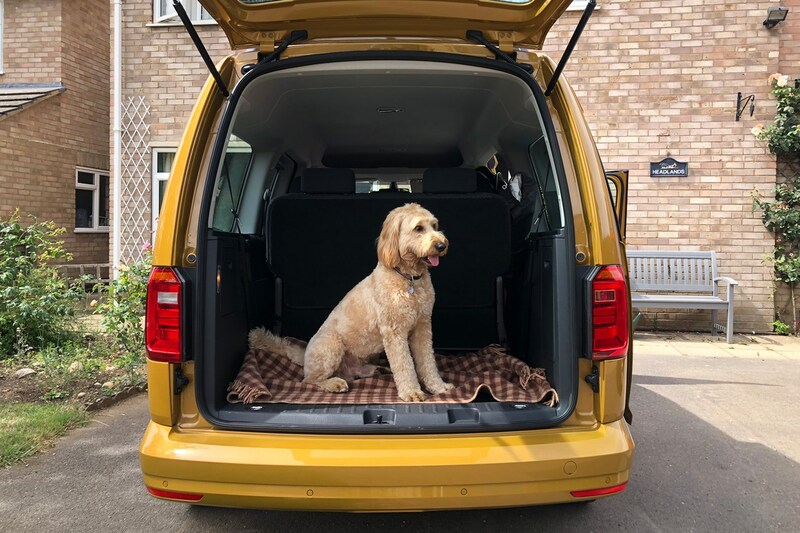 We’ll even be giving our colleagues at sister title CAR magazine the keys - already dreading what they dream up for our yellow van. But it’ll have to pull all this off at reasonable cost, too. VW claims fuel economy of 55.4mpg should be possible, but we suspect that’s less realistic in the real world. Tax is another consideration, because the first year VED will be £515. It drops to £140 a year after that, though. Either way, we’re excited about the opportunity to spend some time with the Maxi Life. Keep an eye out as the updates flood in. Since taking delivery of the Caddy Maxi Life it’s been in near-constant use. Its appeal as a paragon of practicality has meant means various people have approached me begging for the keys. Before we explore some of this van-derived car’s usefulness let’s delve into how it actually drives, because one thing is becoming very clear: its looks mean people assume it’s just like a van, with all the negative connotations that may introduce. It’s fair to expect build quality aimed at workpeople rather than families, with tinny acoustics, a noisy diesel engine and hard-wearing – but not particularly attractive – cabin finishing. You’d also be forgiven for predicting an agricultural driving experience and a high seating position. But we’re thrilled to report none of that is the case. In fact, the Caddy’s Golf underpinnings really shine through here. 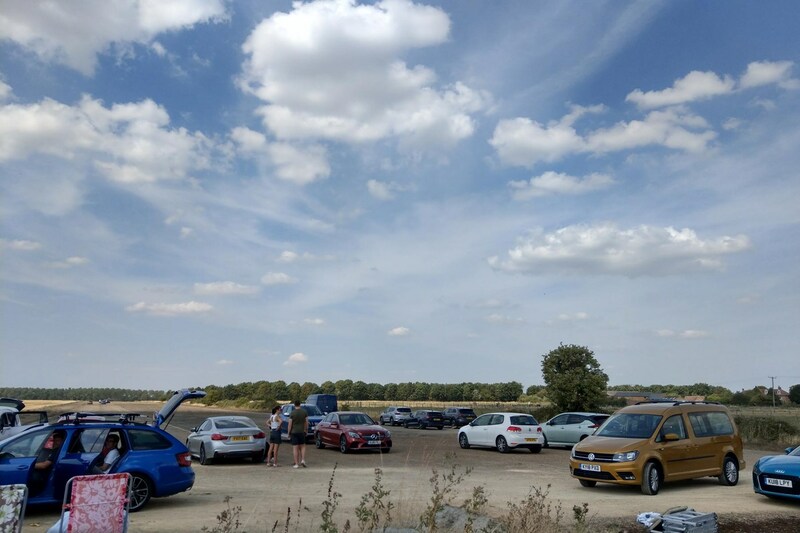 Its steering is direct and sharp, which makes it feel nimble in corners, while the suspension and tyre set-up makes for slightly more bodyroll but ultimately an engaging drive, which is something we weren’t expecting. The interior gets a decent amount of sound-deadening material, which further adds to the quality feel. This is a trick Audi is known for: in packing in more noise-absorbing material behind the scenes, it makes the car feel more solid and so perceived build quality increases. Sister company VW’s clearly in on the act too. 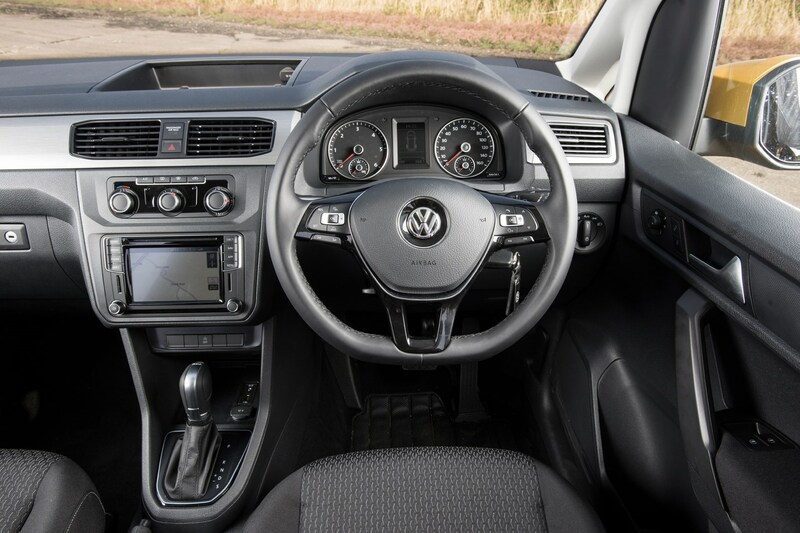 And the driving position isn’t too high either – you’re perched a little above where you’d be in a Golf, but it’s nothing extreme, and the advantage of having so much glass around you is fabulous visibility for parking. Acoustic sensors at either end help here too though. In fact, the only thing that rang true about the above suppositions is the 2.0-litre diesel engine, which is a little noisier than we’d like – especially when heard from outside the Caddy. There’s one other niggle that’s starting to grate a little, though. 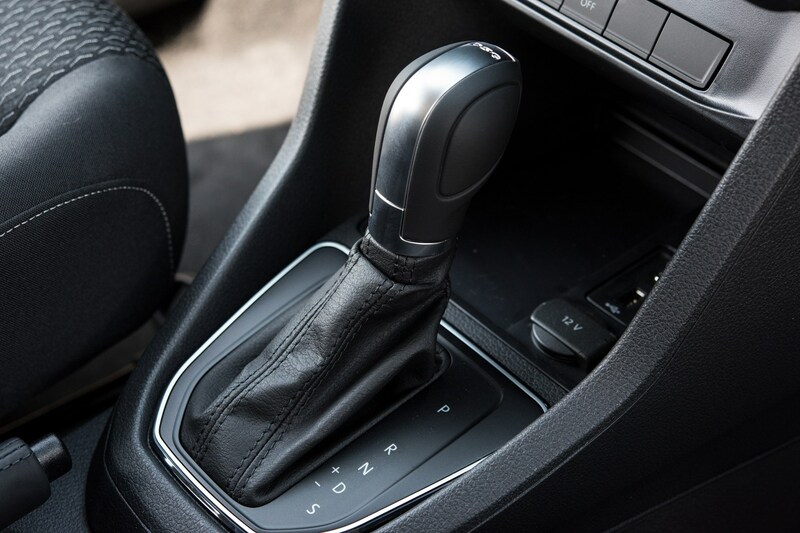 The six-speed automatic gearbox is a little slow to react when left in default Comfort drive mode, which occasionally has us sitting at junctions a while longer than anticipated. Switching to Sport does overcome this, but the sharper throttle response provided when doing so makes the drive spikier. We’d like quicker reactions from a standstill with smooth throttle response, but sadly you can’t decouple the two things - so it’s one mode or the other. Anyway, this is a small issue and certainly not one that would put us off recommending the Caddy over rivals – many of which suffer with sub-par automatic options too. As it is, since we're driving around in Sport so often with the associated urgency a new nickname has been coined for the car; it's now known as the Racing Caddy by all who travel in her. Update 3: The ultimate photoshoot support vehicle? 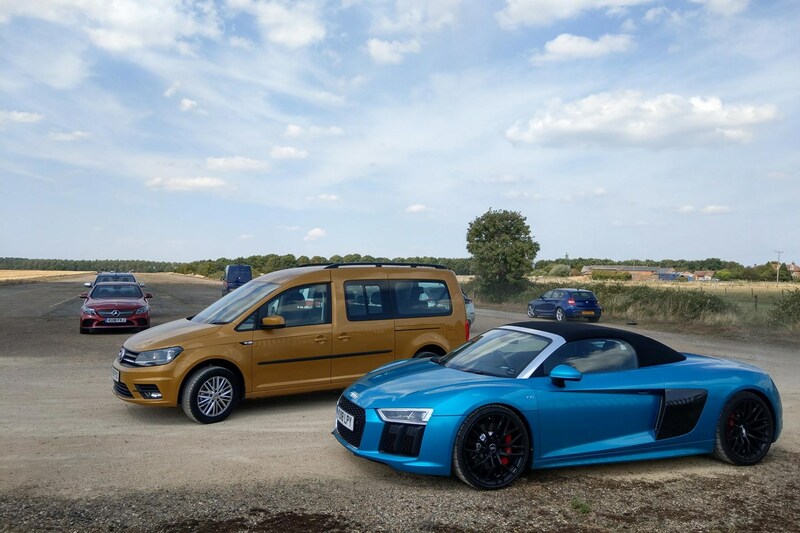 The Caddy Maxi Life hadn’t been with us very long when it was time to employ it for its first big job – as support vehicle for our biggest event of the year – the 2019 Parkers New Car Awards. With a list of 13 cars to shoot - both stills and video - it's an extremely busy day for everyone involved. Sadly the Racing Caddy hadn’t been nominated for its own award because it simply didn’t qualify for any of the gongs. That’s not to say it’s in any way sub-par – simply that our criteria and its talents weren’t happy bedfellows. And that left it as the vehicle we’d use for logistics. 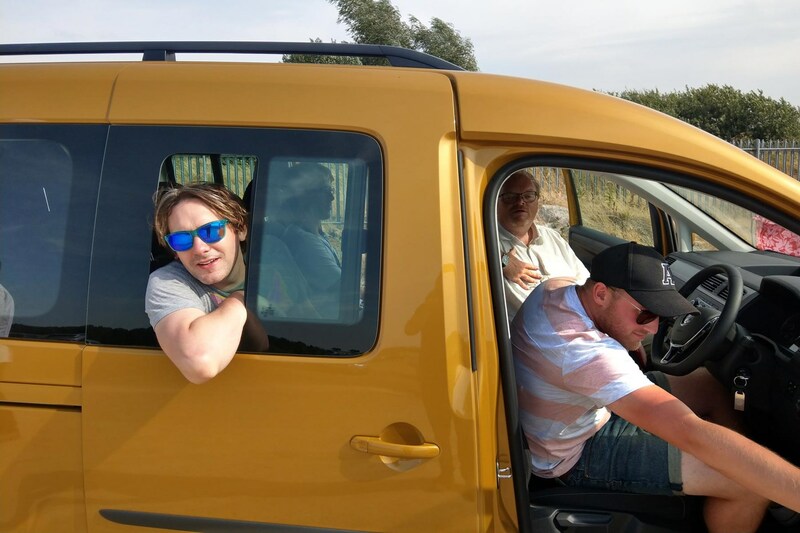 We were based on a disused runway with no facilities to speak of, so the Yellow Peril was employed as the loo-run shuttle, official catering van, refuse collection and storage vessel, and general automotive dogsbody. Well, it performed flawlessly. The ease with which you’re able to just jump in and drive, engaging the automatic gearbox with one pull of the lever and getting going within seconds, made it the obvious go-to car for quick trips to toilets or shops. As the day wore on and the sun’s heat reached full intensity, the Caddy’s air-con came to the fore, with many folk taking respite from the sun in the cabin or simply just sheltering under the large tailgate – a useful feature in a lot of ways, until you park too close to an object behind you. When it came time to tidy up, the Caddy shone once more. 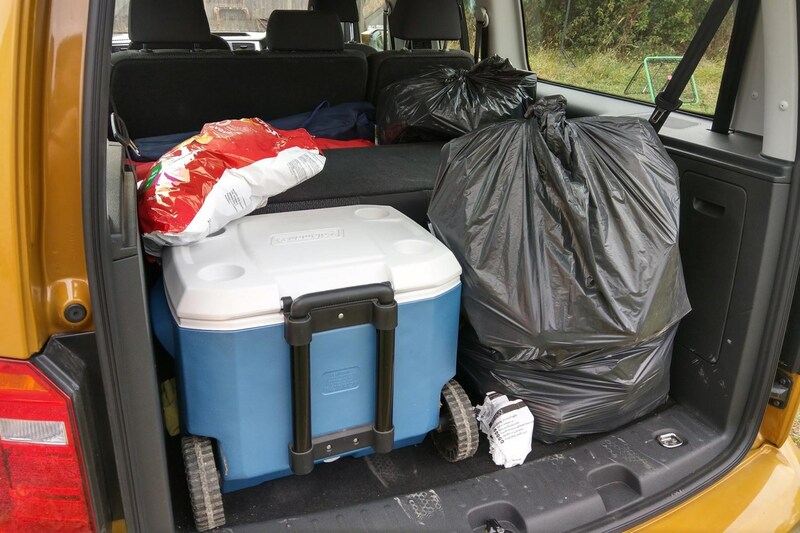 Its carrying capacity was such that I could simply fill the boot without having to rearrange any seating – ideal after a very long day of photography and filming. Its stature within the team’s appreciation sphere is growing steadily. And rightly so. Update 4: Can Caddy Life cut it on CAR? 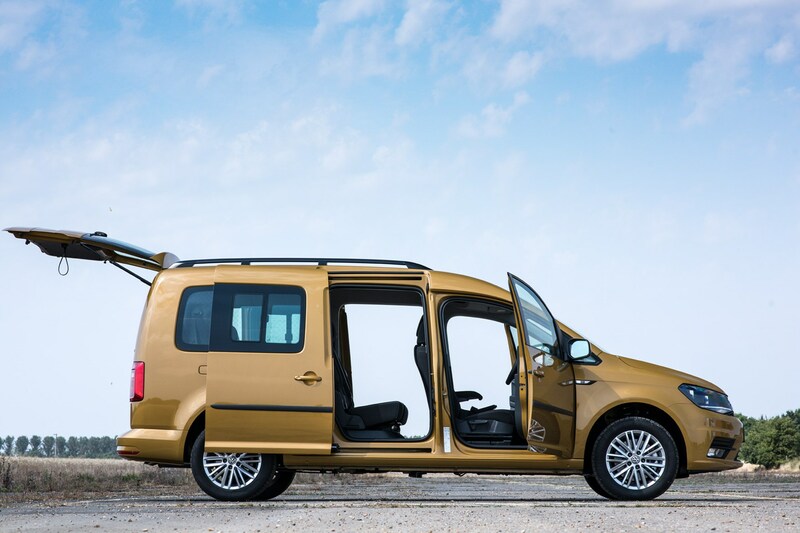 The VW Caddy Maxi Life, you quickly surmise, must be some sort of outlandish stroke of genius for those with big families and loads of gear. 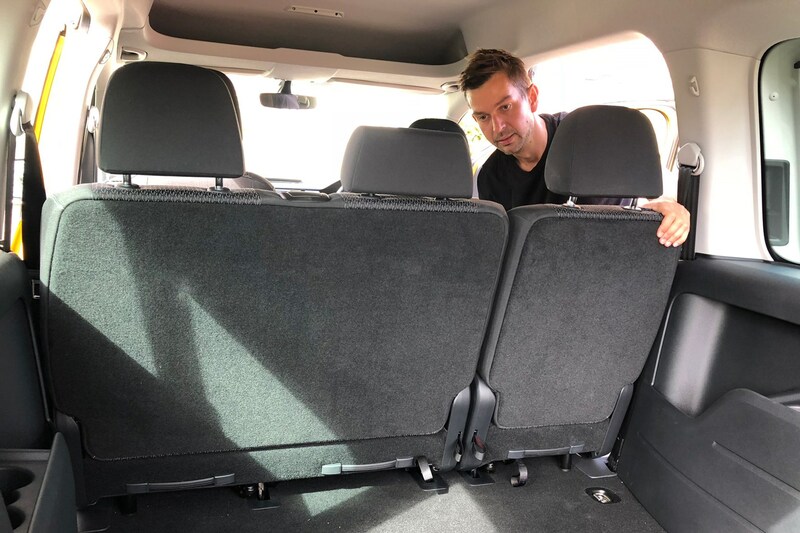 Seven-seat cars and SUVs, like VW’s own Touran, the Skoda Kodiaq, Land Rover’s Discovery Sport and the Volvo XC90 are either not big enough (deploy the third row of seats and the remaining boot space is meagre), or so big they’re intimidating to drive and intimidatingly expensive. Fortunately the Caddy Maxi Life is just big; prices start at a not unpalatable £24k for a 102hp TDI with a five-speed manual. This is the range-topping 150hp TDI with six-speed DSG, which costs £29k on-the-road before options. 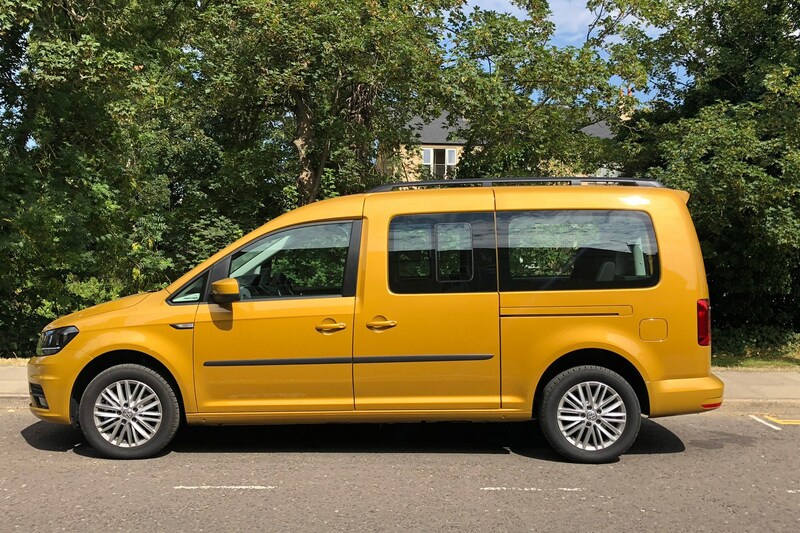 Seven seats, a decent boot and, if you get busy removing chairs, a carpeted, window-equipped van with the space to swallow just about anything. The catch? The Caddy’s still a van. A very nice van, admittedly, with a near-flawless powertrain – the diesel’s smooth and punchy, the DSG entirely unobtrusive and intuitively mapped in both D and S modes – but there’s no escaping the hard plastics, bouncy ride and so-so dynamics. And, well, the fact that it looks like a van. Still, vans mean space, and the Maxi’s so spacious inside you could use it as a kind of de-compression chamber for acute claustrophobics. Up front you sit low, car-style, with half a mile of headroom between your scalp and the roof way above you. The three-seat second row gets cool sliding doors with Ferrari F40-style sliding windows. Beyond that there’s a two-seat third row and a decent boot (with an infuriating parcel shelf, and equally infuriating lift-up tailgate – split doors would be my preference). In a weekend I used the Caddy Maxi Life to easily transport a dog (he loved it, and wept when it left), five people together with the aforementioned dog and stuff, and, finally and spontaneously, a motorcycle, when a tape measure showed the Caddy Life’s rear aperture could take it. Removing the second- and third-row seats is easy enough, though they’re heavy – you wouldn’t want to be lifting them in and out regularly (though ironically, this weight actually helps when the time comes to re-attach them to their mount points in the floor). 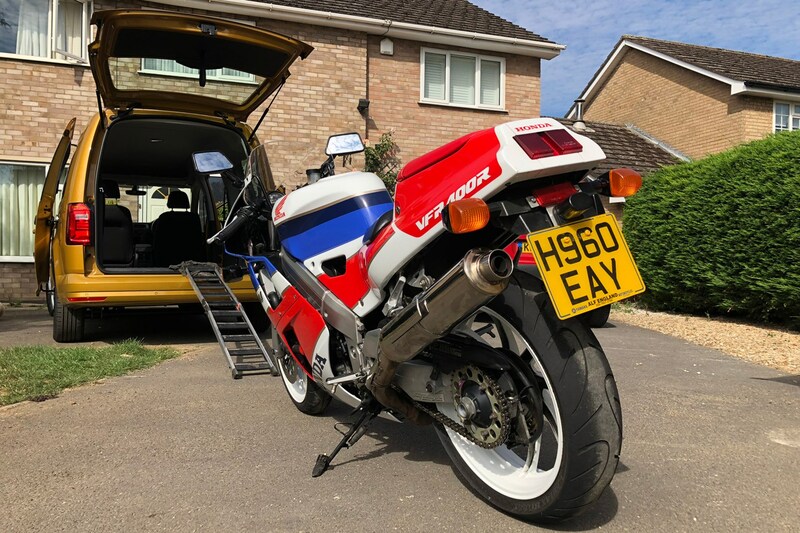 In ten minutes the seven-seat MPV was made a bike-ready van, and my Honda would have fitted but for the breakover angle of my cheap ramp, intended for off-road bikes and lightweight classics. Versatile? Yes? Pleasant to drive? Ditto. A brainwave that instantly renders more expensive, car-based seven-seaters redundant? 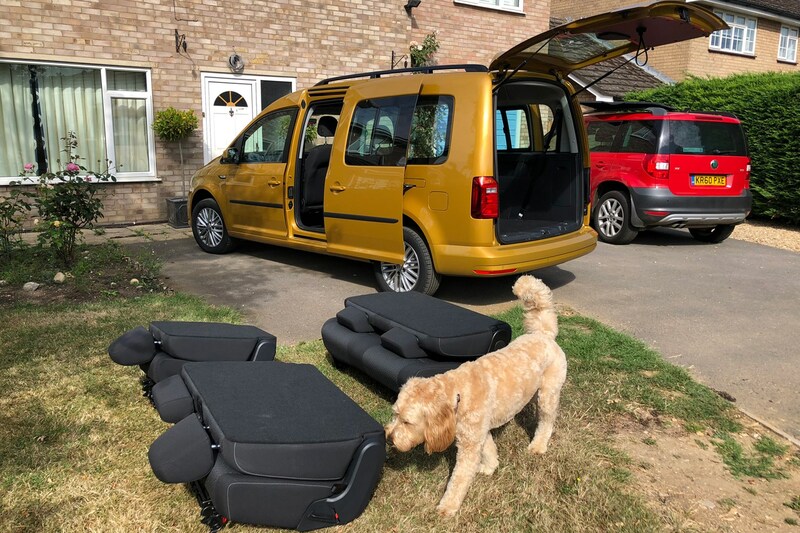 Not so much, unless you have need of a part-time van with a flat load floor – you’ll never turn a Kodiaq into one of those, no matter how long you spend playing with the seats.